Euro Road Safety specialises in road safety equipment. 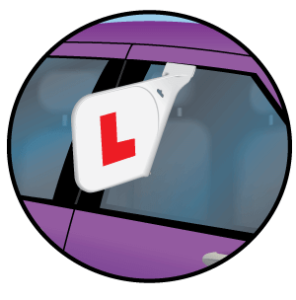 Euro Road Safety specialises in the design, testing and manufacture of road safety equipment. Our Engineering and Product Development team work alongside industry partners to develop lifesaving solutions for the road safety market. Encocam has years of experience in the road safety industry and is able to identify gaps in the market, develop prototypes, develop and test product ideas. Euro Road Safety products have been installed on roads across the world. 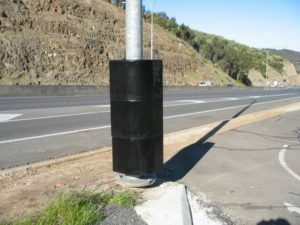 Projects include barriers, impact absorbers and vehicle signs. BikerMate is an energy absorbing cushion designed to fit around unforgiving roadside objects such as lamp columns, telegraph poles, signposts and Lattix masts and help reduce the risk of serious injury to motorcyclists in accident black-spots. Static crush tests and dynamic impact tests were carried out to calculate the energy absorption of the units. BikerMate is capable of absorbing around 600J of energy, equivalent to 100% absorption of a 75kg person travelling at over 45kph.